Back Office Pro is delighted to help engineering companies overwhelmed by complex, dynamic and multi-tiered engineering teams, as these engineering companies are also being impacted by increasing customer and investor expectations. Back Office Pro sees opportunities where engineering companies see challenges. We know how vital the role of an engineering team is for business. We understand how pressed the engineering companies are today in terms of work environment, global challenges, tools and techniques and personal and professional skills. Back Office Pro is ready for the game. When you outsource engineering team to Back Office Pro, you get an assurance of a seamless process that will link engineering to the overall growth of your company. Our strong engineering background, ingenuity and evolving clientele list help us pursue new engineering challenges and make us uniquely qualified to handle teams of any size. You also gain from increased flexibility, reduced fixed R&D capacity costs that compensates for short-term engineering bottlenecks while generating substantial efficiency gains through specialization and scale effects. Backed by experience more than a decade helping companies offload their engineering teams, Back Office Pro is fully prepared to address future challenges of engineering. Better Experience When you outsource engineering to Back Office Pro, you gain from our experience. We have exposure to a wide array of different parts, people, projects and companies. This means you get only the best engineering solutions. We are adept at bringing the best practices in the industry to your company and your project. Global Footprint Our work speaks for itself. We have had clients from across the world outsourcing their engineering teams to us. They trust us because we place high rigor on process, quality and security. Specialism We think outside our specialism, as you would in your sphere of activity to bring lasting and sustainable engineering solutions that impact communities around us and around the world. 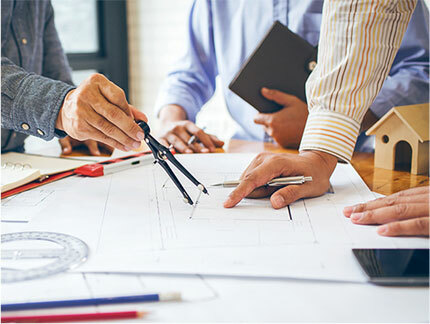 Difference Maker Our engineering services aggregates over fifteen years of outsource experience to encourage engineering firms to offload their engineering teams. While engineering firms make a difference to their business by becoming asset-light, we use our expertise to mobilize the right blend of engineering talent. Mature Engineering Value Chain With the experience we have gathered over the years, we have matured to the higher echelon of engineering. We work on just about anything in engineering. Outsource Engineering Services to BOP Today!